As winter draws to a close, it’s time to start thinking about the growing season ahead. While most people associate drones with growth and harvest, there are plenty of ways to put your drone to work before planting season begins. From scouting for weeds to assessing drainage tiles, growers are increasingly using drones as an indispensable, year-round field management tool. Watch this webinar to hear from Justin Metz, Technology Integration Specialist at Bowles Farm, and Jim Love, Light Robotics Manager and Herbicide Specialist at Beck’s Hybrids. Attendees can expect to learn how use drones as a pre-planting and field prep tool this season. You’ll also get an in-depth look at DroneDeploy’s newest real-time mapping tool, and hear tips for making smarter crop management decisions in 2018. 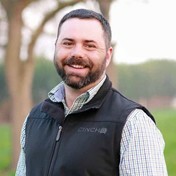 Justin is the Technology Integration Specialist for Bowles Farming Company. His responsibilities include Veris soil sampling, variable rate applications, GPS systems, and as a FAA Part 107 license holder, chief pilot for drone operations. 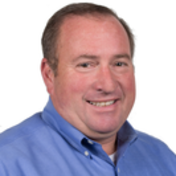 He has worked for California Sun Grower Services in several capacities such as; automated transplanter specialist, pull-behind harvester specialist for southern operations, and most recently, the research and development mechanic focusing on automating systems. He’s attended Merced Junior College, West Hills College, and Modesto Junior College. He currently resides in Atwater. Jim has 25 years of industry experience at Becks, ranging from operating a planter and combine, to his current role as a Light Robotics Manager and Herbicide Specialist. Jim was instrumental in implementing the use of GPS for the application of fertilizer, lime and pesticides. In the early 90’s Becks began to experiment with crop health imaging from a satellite platform and then on to manned flight systems for data collection. Recent experimentation has centered on the use of UAVs to gather the same data in real time.